You might have thought that we’ve visited all of the Midwestern states in existence by now… and you’d be right. But there is still room in our lives for Midwestern minibreaks! Milwaukee in Wisconsin for example, is an hour and a half away by Amtrak. So, we took off for the weekend, armed with a Groupon for a mystery hotel. Mitchell Park Domes. 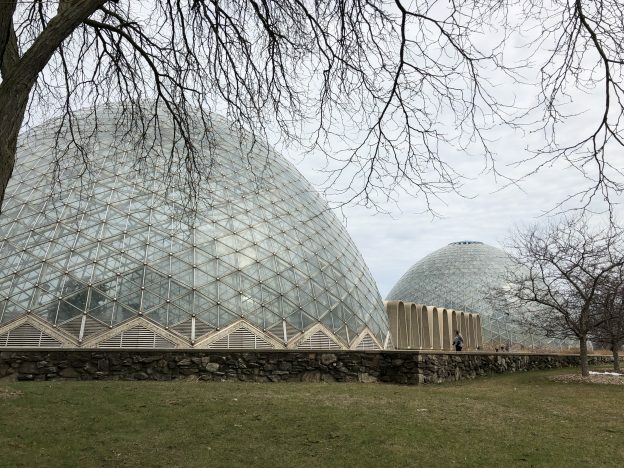 Call them geodesic domes and lose ten points. One of the top things to do in Milwaukee is to see the Mitchell Park Horticultural Conservatory or ‘those big dome things’. 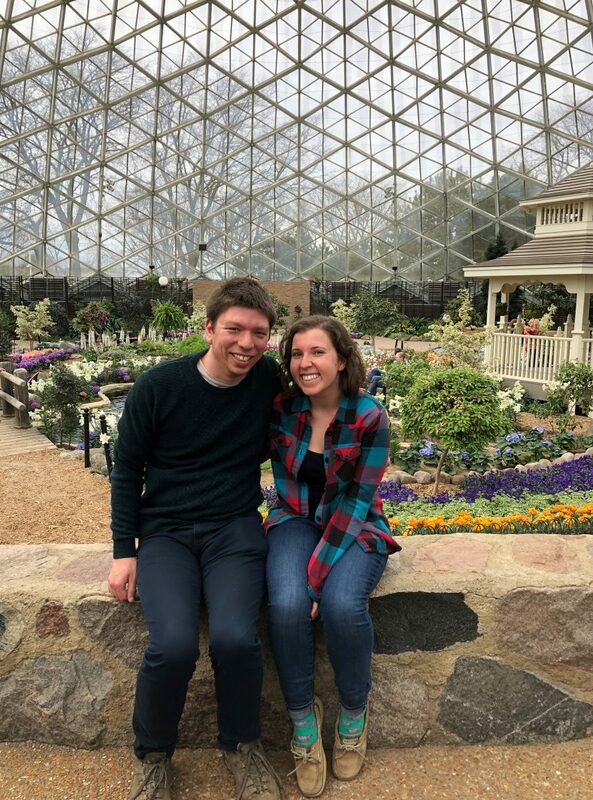 You are absolutely not allowed to call them geodesic domes. They are conoidal domes, and the Milwaukee County Park System is very clear on the matter. 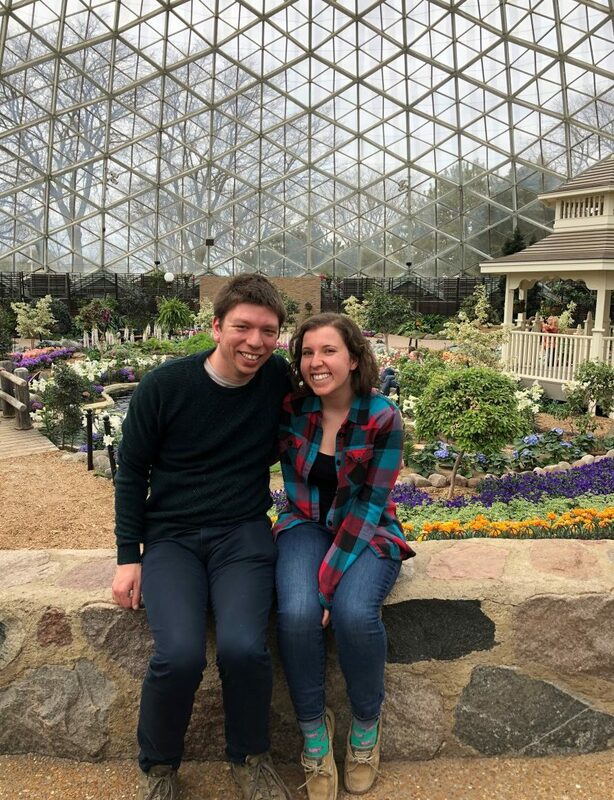 The domes consist of a Tropical Dome, a Desert Dome and a ‘Show Dome’ of rotating exhibits, while outside there is a sweet ‘human sundial’ which invites you to stand on the right month and then have your shadow cast onto a big clock to tell the time. (Actually there are two big clocks, to accommodate Daylight Savings, which should make people angry but mysteriously does not.) Anyway, we enjoyed the domes, although I didn’t appreciate the motorway-strewn walk back into the centre of town. Good setting for a zombie film, but not for walking. Beer! Cheese! 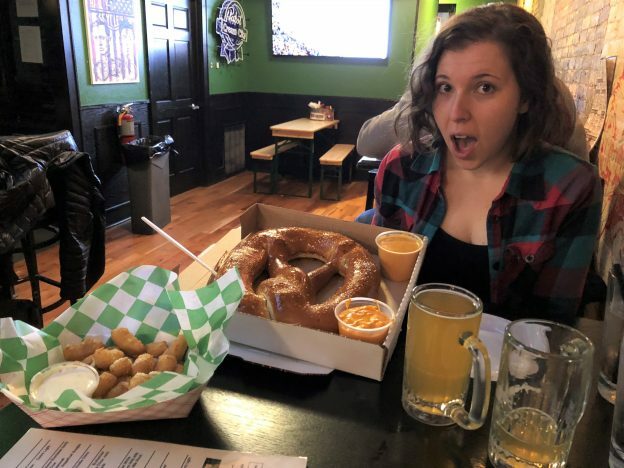 A pretzel in a pizza box! 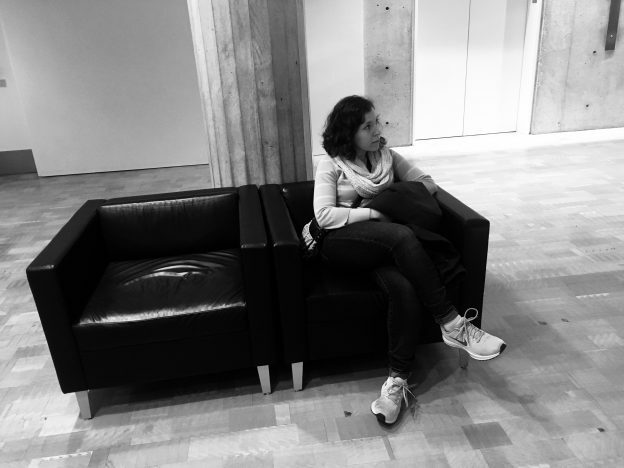 The irregular angle of the photograph hints at an upward progression of thought… or perhaps a downward slope? 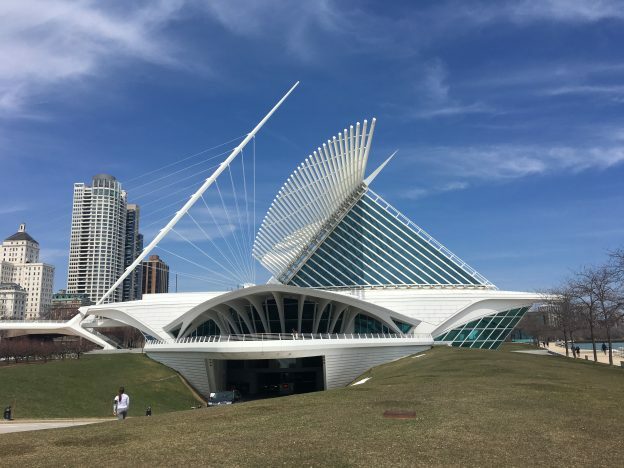 Other Milwaukee activities included Battleship, multiple trips to the Public Market (“you guys were here yesterday, right?” asked the ice-cream man) and the cool-looking Milwaukee Art Museum. There we learned about Winslow Homer’s time in England (lots of fisherwomen) and visited a photographic exhibition on the American Road Trip, which did not make me feel any better about the aforementioned Interstate 94 along which, I suppose, a road trip might take you. 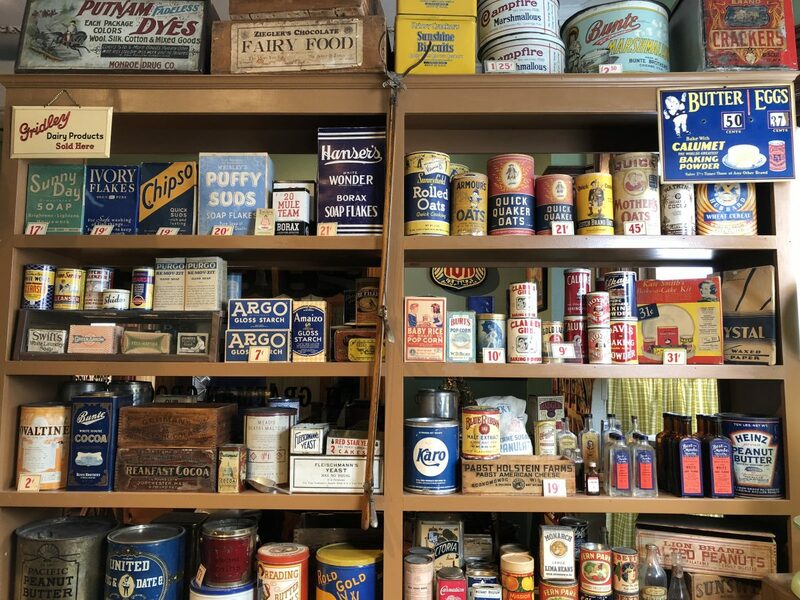 We also went to the Chudnow Museum of Yesteryear which explores everyday life from the 1930s and 40s. It was the kind of small museum with enthusiastic staff who follow you around to add commentary, but in a nice way. Since it’s a little unusual for us to stay in an actual hotel rather than an Airbnb, we decided to complete our wild Saturday night of beer+cheese+pretzels by getting into bed, turning on the TV and working our way through all the TV channels like couples used to do in the olden days. Through this method we discovered the amazing Forged In Fire: Knife or Death, a competition in which contestants turn up with their own knives and work through a knife-based assault course where they, um, basically have to cut a lot of things in half. The best part is that the final part of the course is often a dead chicken, or a fish, or some falling watermelons. Needless to say everybody takes it Very Seriously, even though it seems that the people who turn up with the biggest, sharpest knives are pretty likely to win. Highly recommended. Ian Niemi, Gillian Self, Randi Lawrence, Catherine Tarsney, McKenna McConnell, Beth Dubowe-Lawrence liked this post.